getCountVoxelLargerZero returns number of voxel not minimum. getCountVoxelMaximum returns number of voxel that are maximum. getCountVoxelMinimum returns number of voxel that are minimum. 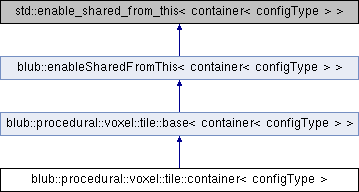 getEditedVoxelBoundingBox returns an axisAlignedBox which describes the bounds of the voxel that changed since the last call of startEdit(). getEditing returns if editing is active. getVoxel returns a copy of a local voxel. setFull sets all voxel to max. setVoxel sets an voxel to a local position. Extends changed axisAlignedBox-bounds and counts if voxel is minimum or maximum.